Made with North American steel! 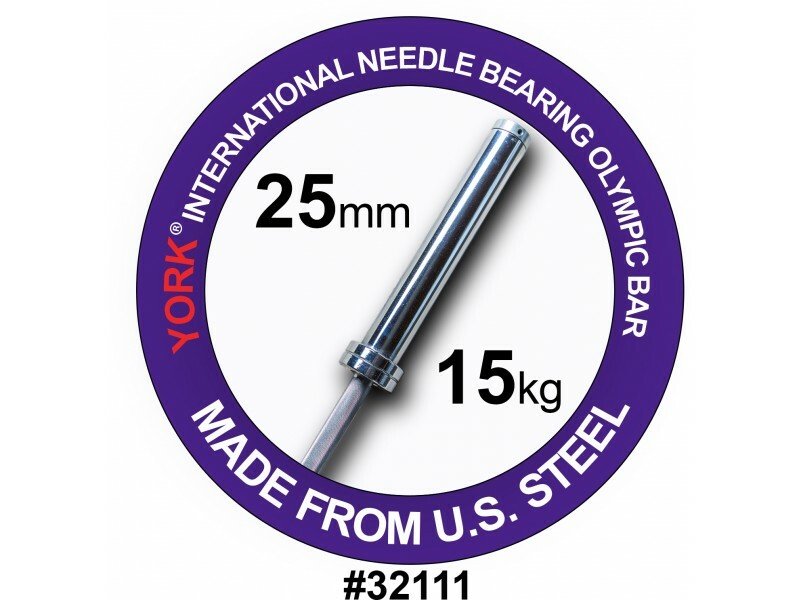 This bar has York's signature split sleeve design, which ensures that the sleeve will not loosen. 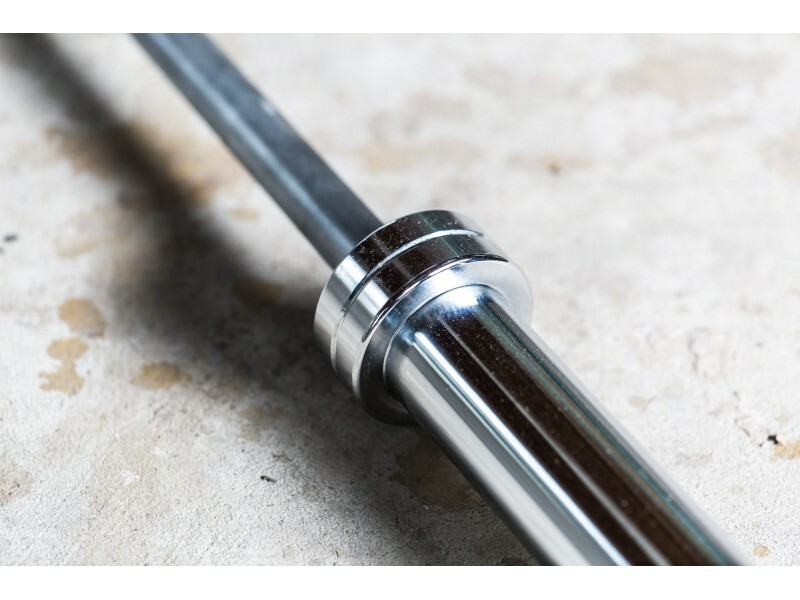 This women's bar has a 25mm shaft, perfect for smaller hands. 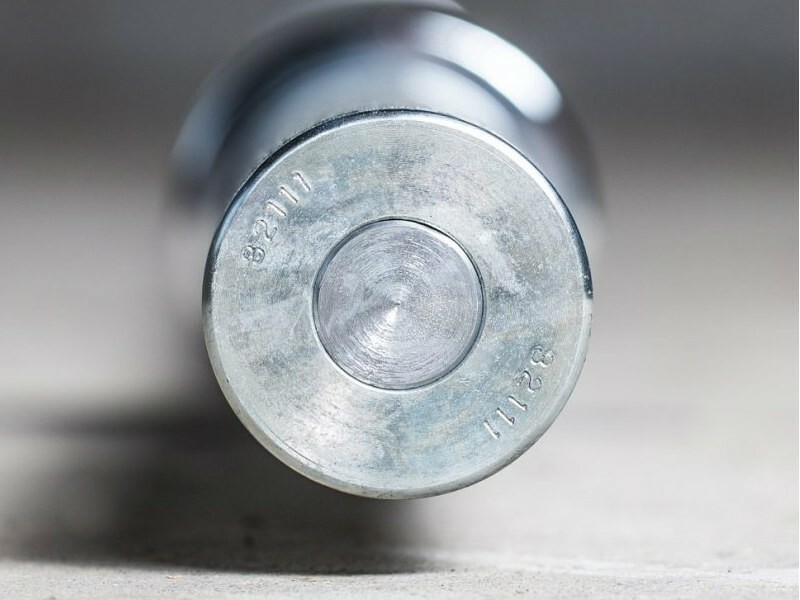 The needle bearings provide a sensitive and smooth sleeve rotation. 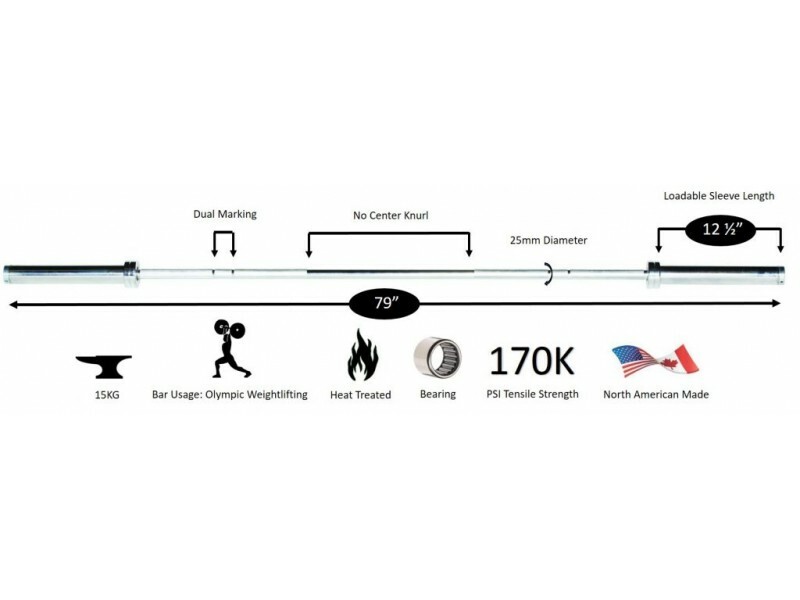 This bar is on the level of the Werksan and Eleiko bars with their ability to whip while remaining permanently straight over time. 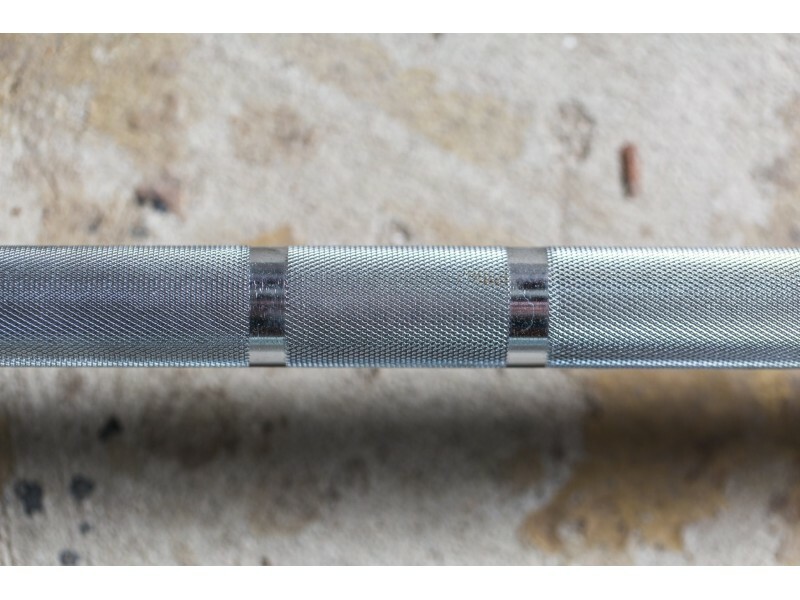 This olympic lifting training bar is made with a 25mm shaft, perfect for most women or any users with smaller hands.